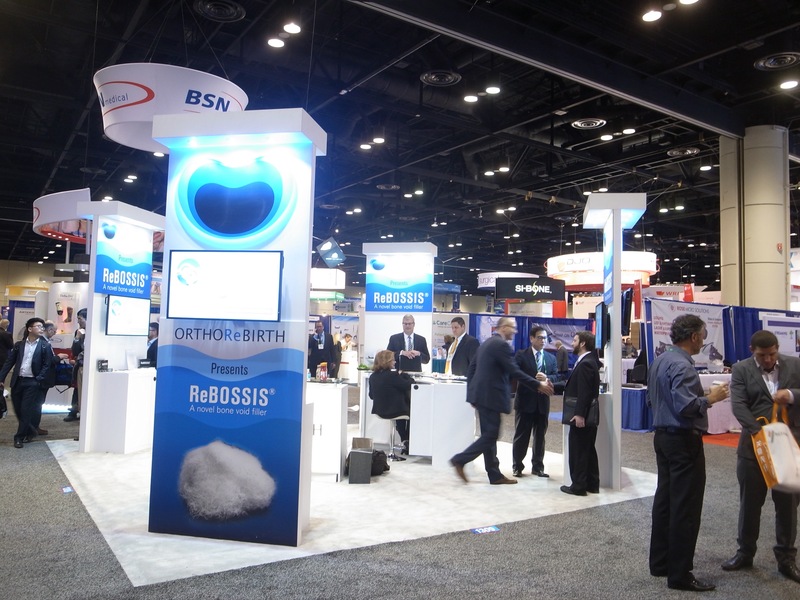 ORTHOREBIRTH participated in AAOS 2016 (AAOS: American Academy of Orthopaedic Surgeons) that was held at Orange County Convention Center in Orlando, Florida from Mar.2 to 4, 2016. During AAOS2016, the venue of “Technical Exhibits” was filled with more than 700 small and large booths by medical equipment businesses including ours, showing a great bustle. In our own booth, actual samples of ReBOSSIS were displayed and video footage was played to further promote this innovative, cottony type, synthetic bone-void-filling material among the visitors. A great number of doctors actually touched our ReBOSSIS samples and got convinced with how easy it is to handle and how smoothly it gets mixed with mimic blood.